A SMALL TSUNAMI hit Japan today after a powerful and shallow undersea quake, although there were no immediate signs of serious damage and no reports of injuries or deaths. People were warned to stay away from the coast as the tsunami, which was recorded as being as high as 55 centimetres (22 inches) in one place, rolled ashore. There were no new problems at the crippled Fukushima nuclear plant, NHK said, citing operator Tokyo Electric Power. “There have been no rises at (radiation) monitoring posts at Fukushima Daiichi,” the broadcaster reported. Workers who had been patrolling wells used to measure underground water evacuated to higher ground after the tremors struck. There were no reported problems at any other nuclear plant, including at Onagawa, the site of the largest wave – 55 centimetres – recorded today. All of Japan’s 50 viable reactors are shut down. The quake struck at a depth of 10 kilometres at 2.10am local time (17.10 GMT Friday), 327 kilometres southeast of Ishinomaki in Miyagi Prefecture, according to the US Geological Survey. The USGS initially said its magnitude was 7.5, and issued a green alert on its website, signalling a low probability of deaths or economic losses. 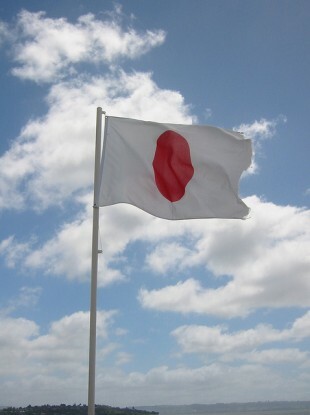 As it stood down its warnings, Japan’s meteorological agency said the quake was an aftershock of the March 2011 tremor. “We have lifted all tsunami alert but the sea level may continue to show small changes for half a day or so please be very careful when working by the sea,” an official told a press conference. The area affected largely overlapped with that hit by the March 2011 disaster when more than 18,000 people died after a towering tsunami crashed ashore following a 9.0 magnitude undersea quake. In the town of Ofunato, a 20-centimetre tsunami was logged just after 3 am, while Ishinomaki, which was devastated in 2011, recorded a 30-centimetre wave. Email “Small tsunami hits Japan after quake”. Feedback on “Small tsunami hits Japan after quake”.